Title Attached. 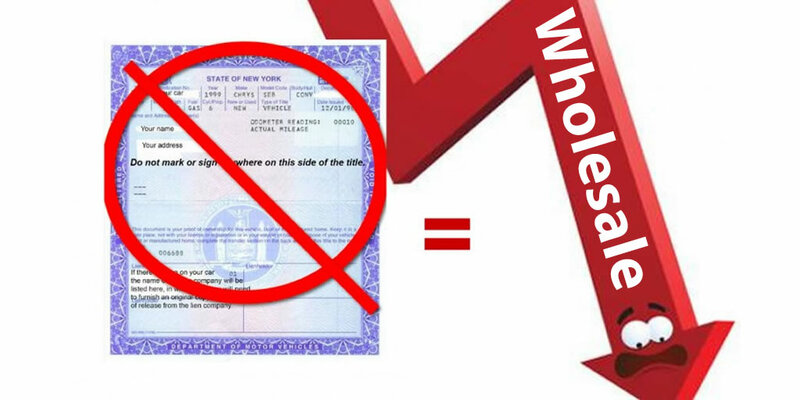 New dealers/wholesalers are often confused about what “Title Attached” means. It actually means that the title is NOT present at the time of the sale. This means the selling dealer has the title but it is not on hand at the time of the auction, usually at another dealership billing location. Lien Release Missing. The dealer has paid off the lien and is waiting for the bank to send the lien release. Here’s why: A third less buyers will bid and the remaining buyers bid less. Statistically, they bid a lot less. Lets use an example of a $8000 car. If you sell it at auction “Title Attached” 33% less buyers will consider the car, and the average bid will be $500 to $800 less. So net proceeds will be approximately $7200-$7500. If you waited the 10 days until the lien release or title showed up, you would pay 10 days of extra floor plan. $500-800 in loss at auction. OR $21.90 in floor plan and pick up the true value of the car. Do I Get Less Bidders If The Title is Missing? Yes. According to a study auctionsimplified.com conducted in August of 2014, dealers and wholesaler said that about 33% of dealers will avoid bidding on title attached cars because “It is a pain to deal with”. Will I lose Profit if Title is not ready at Time of Auction? Yes. Most bidders will pay less for a vehicle if the title is attached. One large dealer buyer told us that he pays between $250 to $700 less for “Title Attached” vehicles depending on the price. “The more money I am floating because of missing titles the more it costs. So I adjust my bid accordingly.” The only exception to this rule is for junk cars under $500. The second reason you profit less on title attached units is because you have less bidders as mentioned above. Less shots on goal = less chance of a winning high bidder. Can I Sell My Car if The Title is Missing. Is the Seller still Liable if The Title is Not in their possession? There are many vicarious liability cases that have been won against selling dealers who did not complete their paperwork correctly or did not secure full ownership of the vehicle before they sold it. Again check with your attorney and or DMV before you consider selling a car without full ownership. The original intent of “Title Attached” at traditional auctions was to allow dealers to still sell cars at auction if they forgot to bring the titles with them. In most cases they needed to have the title the next day or the deal would be cancelled. It should not be used as a way to float money if you don’t have legal possession of the vehicle.